They are advising householders to have their locks inspected professionally, especially those found on front and back doors made from PVC-u and composite materials, which form a high proportion of domestic entrance doors in the UK. 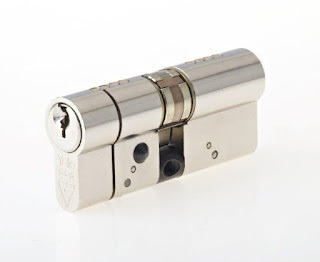 The Door & Hardware Federation, which represents the UK’s leading manufacturers of locks and door hardware, is advising locksmiths and security professionals that householders are becoming increasingly aware of cylinder snapping. The method exploits a weakness in the Eurocylinder which is typically used in locks found in PVC-u and composite doors. Manufacturers have met the challenge and now offer locksmiths a wide range of lock cylinders and door handles which provide enhanced resistance against cylinder snapping and other forms of lock attack. “According to West Yorkshire police, cylinder snapping is used in 20 to 25% of all burglaries in their region. Police forces in other areas of the country are warning householders that their homes could be at risk from this form of attack. “It is estimated there are 45 million residential entrance doors in the UK. Almost 70 per cent of these have a Eurocylinder at the heart of the lock and so are vulnerable to snapping and other methods of lock attack which have been revealed extensively on the internet. Locksmiths and security professionals should look for either the TS 007 Kitemark or the PAS 3621 Kitemark specification to ensure resistance against lock snapping. If the complete door assembly has been certified to PAS 24 specification, then the cylinder will already be secure against snapping and other forms of lock attack and the cylinder will not need changing. The TS 007 standard uses star ratings and is subject to certification by the BSI Kitemark. TS 007 is a three star solution. Security to the TS 007 standard can be achieved by either a combination of a cylinder (marked with one star) and security door furniture such as a strengthened door handle (marked with two stars); or a “super cylinder” (marked with three stars) that successfully resists snap attack without the need to fit a strengthened door handle. In both cases, the same degree of resistance against attack is provided. The PAS 3621 specification is designed specifically for entrance doors which have multipoint lock mechanisms and is also subject to certification by the BSI Kitemark. On doors which can only be locked from the outside, the equivalent lock specification is PAS 8621. A multipoint lock tested to PAS 3621 and PAS 8621 will guard against lock snapping and other methods of lock attack. For more information on TS 007 and PAS 3621 visit www.dhfonline.org.uk .